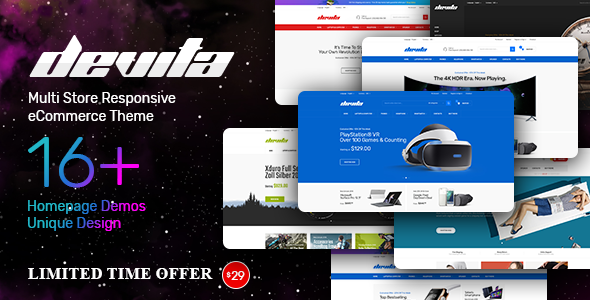 Devita theme is integrated many useful plugins. Visual Composer helps you create and edit pages faster and easier with drag and drop feature, adding row, add columns. Revolution Slider supports many features: adding, editing, importing slider, build ing modern and mobile-friendly presentation. Mega Menu displays many links, categories, demo pages and you can easily custom number of columns, type of submenus, choose show category, page link. You can add components at sidebar of pages, blog page, shop page with widgets easily in admin panel by drag and drop. With some mouse clicks in admin panel, you can choose favorite demo to install. WooCommerce helps you sell anything and anywhere. 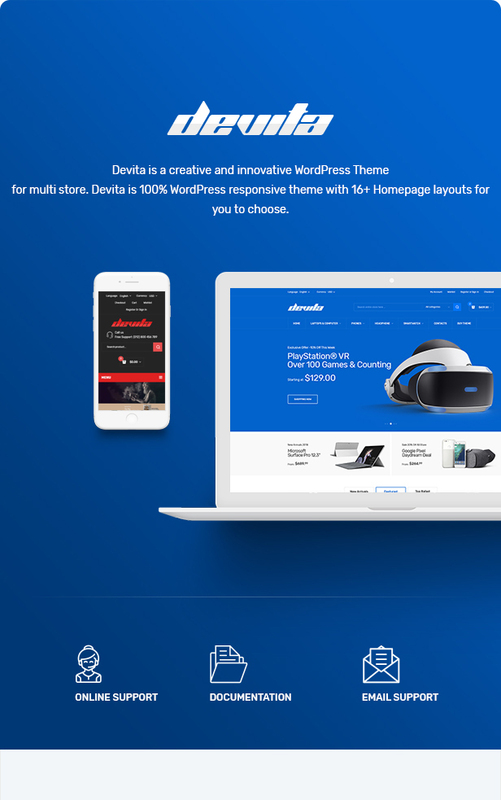 Devita is the great WooCommerce WordPress for any online store!